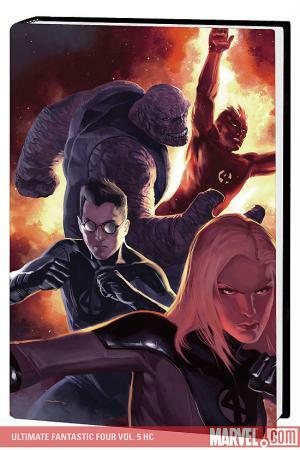 This deluxe hardcover collects ULTIMATE FANTASTIC FOUR VOL. 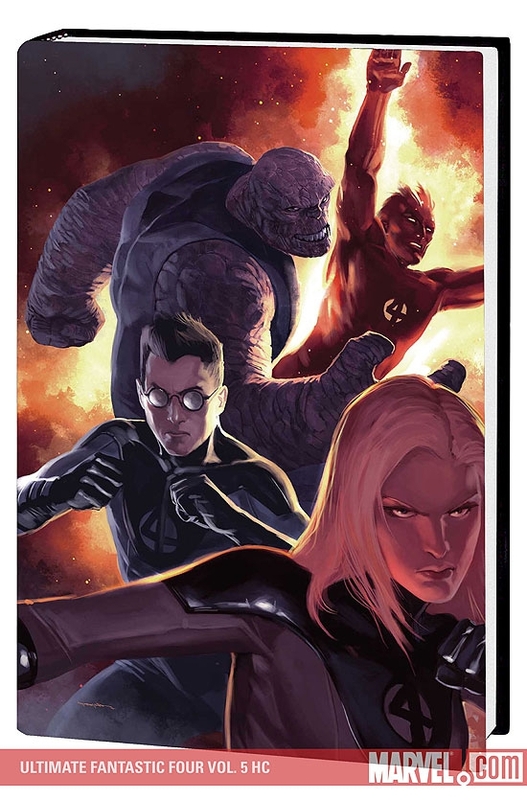 9: SILVER SURFER and ULTIMATE FANTASTIC FOUR VOL. 10: GHOSTS, plus extras. In SILVER SURFER, young scientist Reed Richards has pierced the barriers of a hundred universes in an attempt to harness the power of the mysterious Cosmic Cube! And falling through the opening into our unsuspecting reality is the keeper of the Power Cosmic: the Silver Surfer! The arrival of this enigmatic alien on Earth triggers worldwide panic and a string of crises for the beleaguered Fantastic Four. The silver herald claims he has only our best interests at heart, but can you believe anything an extraterrestrial riding a surfboard tells you? And in GHOSTS, Susan Storm - the Invisible Woman - is headed toward a science conference in Siberia when her airplane is mysteriously shot out of the sky! 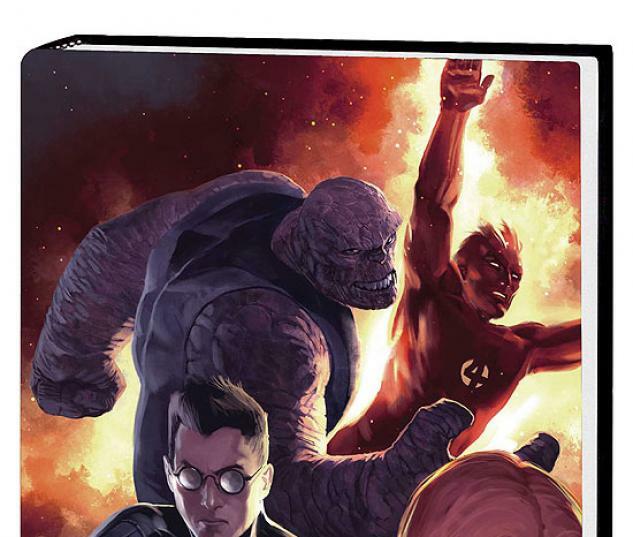 With her survival in doubt, Reed Richards must abandon his completion of the equally enigmatic Cosmic Cube at its most crucial time to confront none other than the Ultimate Crimson Dynamo AND the Ultimate Red Ghost! Who shot down Sue - and can she survive the horrors hiding in the snow? Plus: Ultimate Thanos returns! What has placed the Baxter Building - and a huge chunk of New York City - under siege? Aliens are among us, hunting the greatest force in existence: the Cosmic Cube! And in the race to command this deadliest of weapons, treachery and overkill are the order of the day...even from former friends! Collecting ULTIMATE FANTASTIC FOUR #42-53.